Are you a dog owner, dog lover, or just love sitting in dog parks in hopes of petting a fury friend? This post is geared to all the dog people out there. If you’re a pet owner, a huge priority in keeping your pet happy and healthy should be getting them out of the house, and getting active. If you can’t be with your pup 24/7, giving them time to burn out their energy is crucial. When you live in an apartment, being able to provide a space for your dog to run around in, and just let loose is so important. No one likes being cooped up in a tiny space for very long. My husband I live in an apartment currently that’s fortunately very close to many incredible dog parks here in Dallas. We are lucky to live ten minutes away from White Rock Lake, and it’s become a routine for us to go at least 3x out of the week. Today I wanted to bring a guide to anyone living in and around Dallas, who is looking for a few incredible spots to take your fury friend. White Rock Lake Dog Park // White Rock Lake is our favorite spot of them all, and very close to where our apartment is. 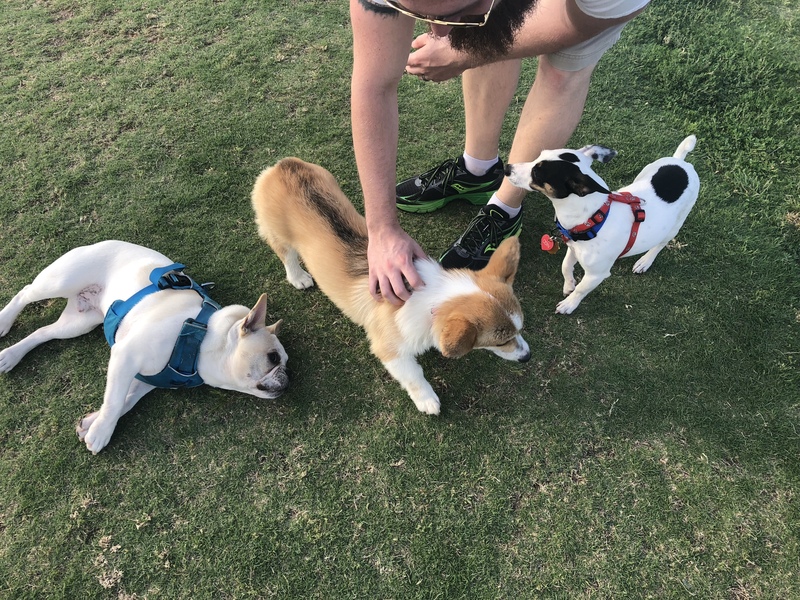 Firstly, there is White Rock Lake, then their is the dog park, which is conveniently located in the center of the park, with multiple entry ways. This dog park has two sides, designated for smaller, and bigger dogs. This dog park is spacious, filled with grass, and plenty of benches so you can sit in the shade. We love this park as a whole because it’s filled with nature, and plenty of trees, giving it a calming atmosphere. There is also a “launch” where the dogs can go swimming, which has a barrier that a dog can not swim past, making it completely safe for dogs of all sizes. The launch is always filled with tennis balls, so you can play a game of fetch with your pup. Deep Ellum Dog Park //Deep Ellum dog park is right on the edge of Deep Ellum, an artsy neighborhood in East Dallas. This spot is located close to the Dallas Farmers Market, and several apartment buildings, so it’s perfect and a simple solution for pet owners in that part of the city. The coolest thing about this dog park is that it’s full of art work, on every pillar that holds up the highway. This is a high-traffic area, especially for dog owners, so you’re bound to make a friend or two. North Bark // This dog park has everything you could want and more! On the weekends, you can even spot food trucks, and doggie bakery trucks as well, in front of the lake. There are two big sections in this park, divided for small and bigger dogs, with ample room to run around and play. The best part? North Bark has an amazing lake where pups of all sizes can run, swim and play together in. The lake area tends to be a bit muddier in the springtime, so fair warning, your pooch may get dirty…however, they do have a bathing station. Bush Central Barkway // Fitted under a highway, this dog park is relatively spacious. There are two areas here, one is for smaller dogs under 30 pounds, which has plenty of room to run, or do laps around. Right beside it, there is a fenced off area for the bigger dogs, which is a little bigger than the smaller dogs section. We love this park because it’s close to everything, super clean, and is breezy due to it being under an expressway. 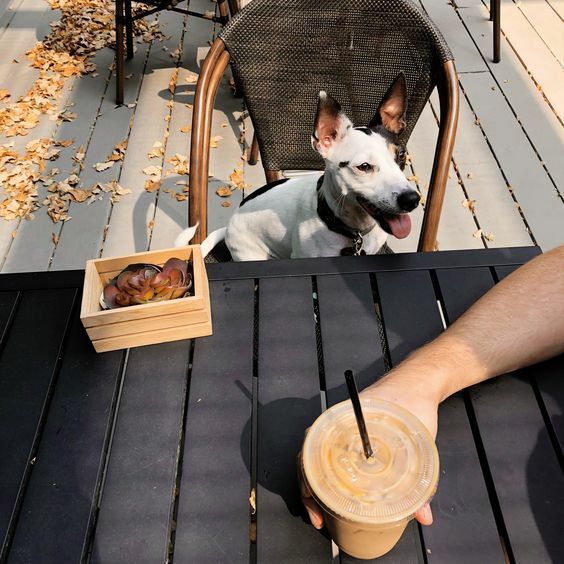 What are your favorite places to take your pup in your city? What kind of dog do you have? Tell me in the comments down below! "25 Facts You Might Not Know About Me"
"What Every First Time Flyer Needs to Know"